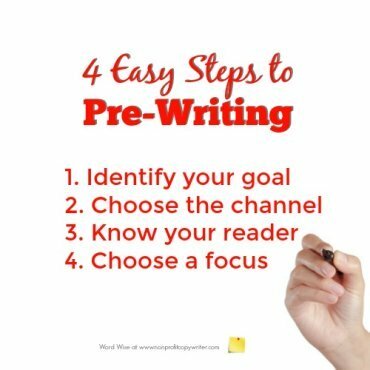 Pre-writing is the key to making your writing go faster and be more focused. It makes your writing go faster. Whereas a project may start with many options, pre-work eliminates rabbit trails, helps you organize your raw material, and lets you sort out your ideas. Decisions you make in this phase give you a sense of direction allowing you to get from Point A (a project that needs to be written) to Point B (a completed project) in the shortest route possible. It helps your writing be more focused. Don’t be fooled. Just because you’re not “officially” putting down words for your actual piece, the time spent in this preliminary phase is wisely invested. Pre-writing lets you avoid one of the stumbling blocks to clear writing: muddy messaging. Going a step further, be sure to save any notes you take. You will be surprised to see what you can use in your project. Leftovers can be saved in a file for another piece. Writers develop their own formulas to follow before they write a piece. Try these 4 steps to help you find your own approach. Determine the one thing you want your piece to accomplish. Do you want readers to click a link? Take an action? Perhaps you want the reader to change the way she looks at a topic or become informed about a cause. Record one overarching goal you want your piece to accomplish. You can have secondary goals, especially when you’re writing a larger project like a business plan or a website, but make sure you identify your top priority so you can focus on it. Content format and tone differs between writing mediums. Social media posts are engaging and to the point … web copywriting uses bullets and lots of white space … grant applications must present a problem, a solution, and a case. When you identify the channel for the piece you are writing you can zero in on your approach right away. 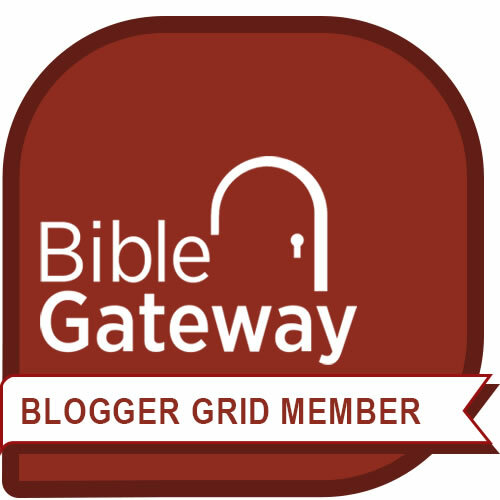 Identify one idea per piece, per web page, per tweet, or per devotional. Write out your main idea. If you cannot summarize it in one sentence, then you won’t communicate it well to readers. Save the rest of your ideas for other projects.